COMPETITION: Win a copy of new family classic The Christmas Dragon on DVD! 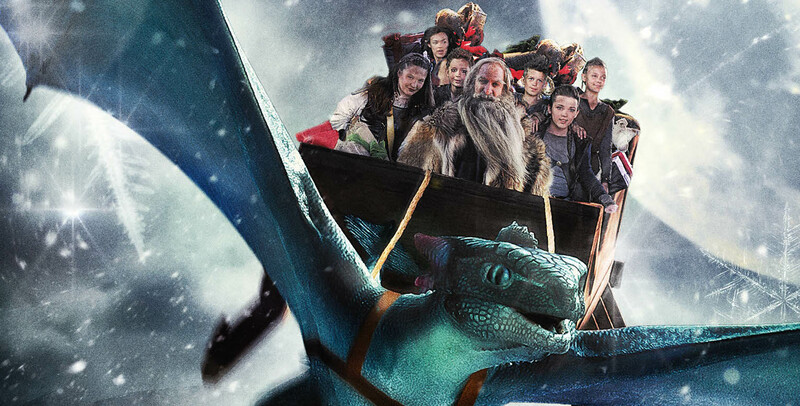 To celebrate the home release of new family favourite The Christmas Dragon, TVGuide.co.uk and Koch Media are delighted to offer our dear readers the opportunity to win this fantastic film on DVD! An original story set in a fantastical ancient universe, The Christmas Dragon follows brave young orphan girl Ayden (Bailee Johnson), who receives a spellbound crystal from a dying elf, with a warning that the North has lost its magic. With the help of her courageous friends, a mysterious warrior, and a beautiful elf, Ayden must embark upon a perilous journey replete with enough dragons, goblins and ogres to make any fantasy fan squeal. Will Ayden manage to return a stolen Christmas orb to the North to restore Santa’s lost magic and save Christmas from the overgrowing evil forest? In the spirit of The Lord of the Rings series and How to Train Your Dragon, The Christmas Dragon is the perfect film for all the family this festive season. Take home the magical Christmas adventure today, and enter our competition below for your chance to win a copy of the DVD! Watch the trailer for The Christmas Dragon here!